Crispy Edge takes center stage in recent article by Nicole Plegge of Alive Magazine. Read the full article here. Crispy Edge was recently reviewed by Michael Renner of Sauce Magazine. Read the full review here. 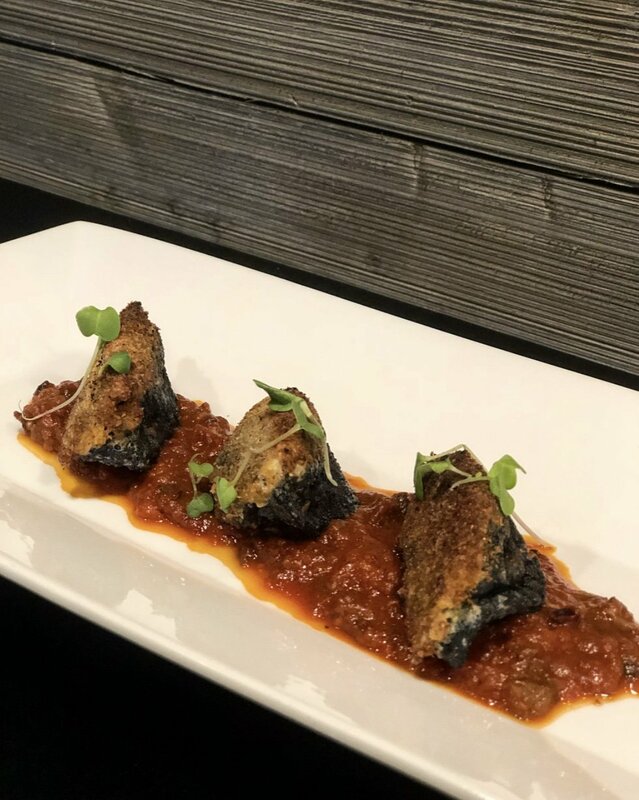 This winter, Crispy Edge is partnering with Cafe Napoli to offer squid ink potstickers, stuffed with calamari and ricotta, breaded and served with a spicy diavolo sauce.